FP5000 Series is an industrial flat panel display supporting gesture operation known from smart phone or tablets. 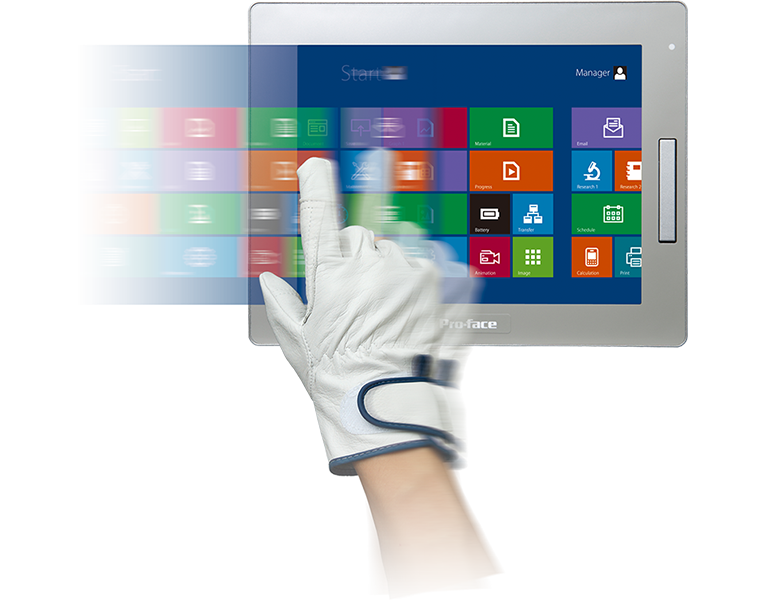 It allows multi-touch gestures even when wearing work gloves for industrial use and also environment resistance has been considerably improved. The detailed catalog of FP5000 series is available. There's also a catalog of the protection cover from chemical and oil mist. The Industrial PC available in BTO.